Just because something LOOKS hard doesn't make it hard! To buy an “inexpensive” store brand 2 oz. 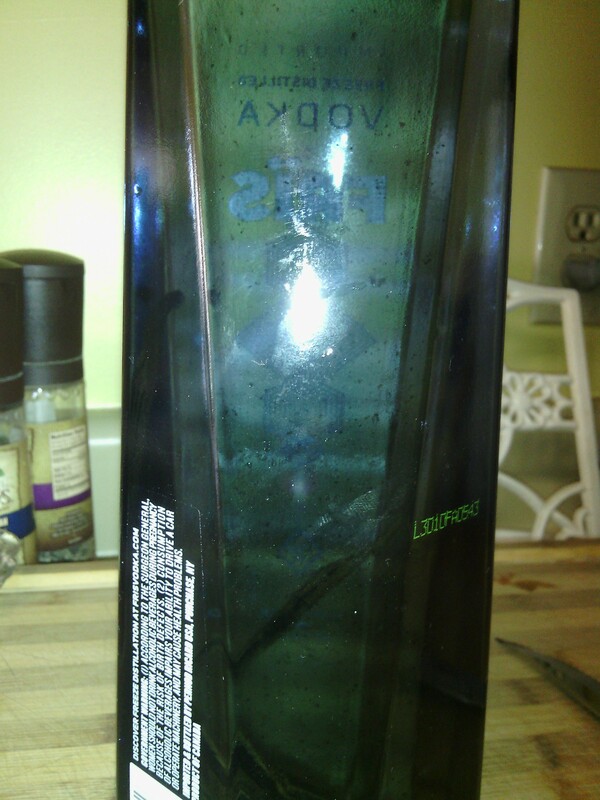 bottle of vanilla extract I recently spent $5.49. 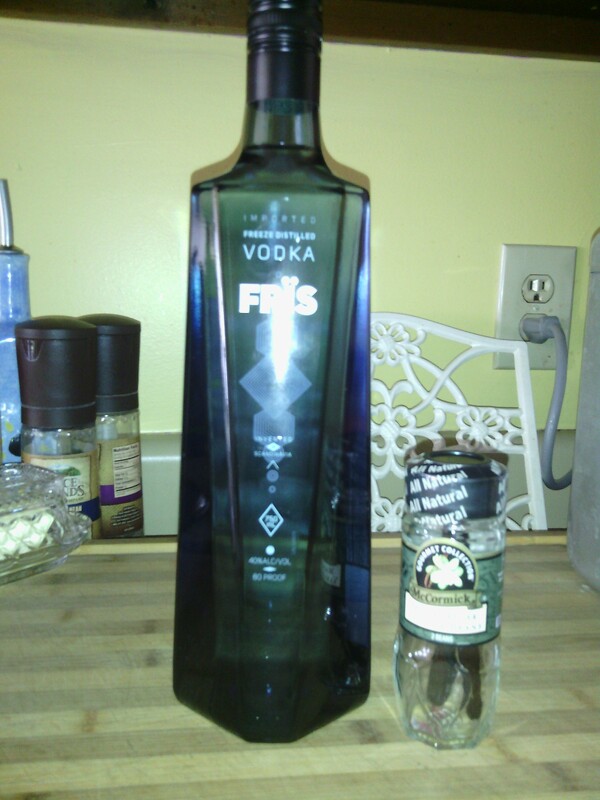 Today I spent $8.79 on the vanilla beans and $13.26 on a 750M bottle of Fris Vodka. Which is the least expensive bottle I found at our local package store. Total = $22.05. 750M is about 26 oz. So, let’s do the math. (I am a math teacher after all. 😉 ) If I bought 26 oz. of vanilla extract at $5.49/2 oz. then I would spend $71.37!!!! OMG So, basically I am saving $49.32 making my own. Steps to saving nearly $50. 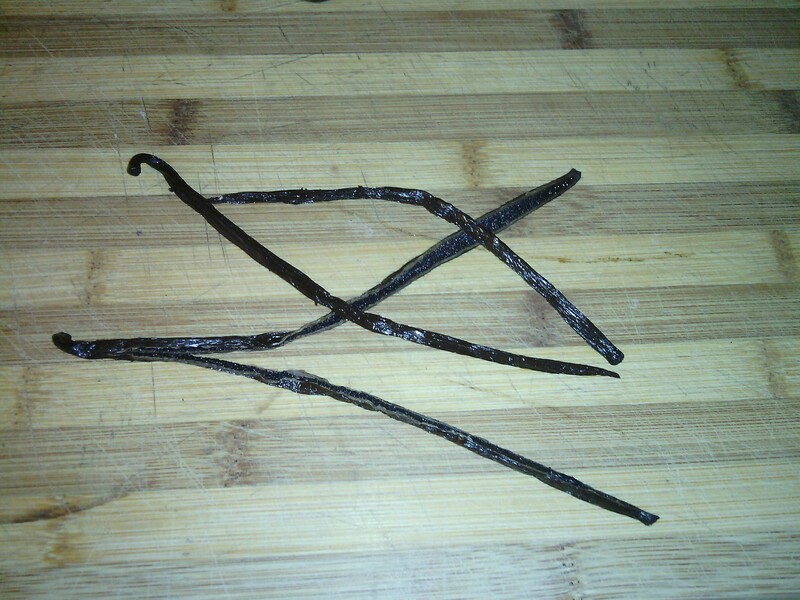 Select an inexpensive bottle of vodka and some vanilla beans. The recommended ratio is 3 beans per cup of vodka. I only have 2 beans, so I may go get some more to add to the bottle. Slice the beans in half length wise to expose all of the yumminess inside. Add the beans to the bottle and shake it up. At least once a week give the bottle another shake. After 2 months it should be ready to use. You can see the little flecks of vanilla floating after I shook the bottle up here. I think I can handle that! 🙂 I added a label so that nobody would think this was available for evening cocktails. I am a teacher of many things: math, quilting, cooking, gardening to name a few. I am a student of many more. I am an artist, a mother, wife, daughter. I am an inspiration, an enigma, a little silly, a poet.